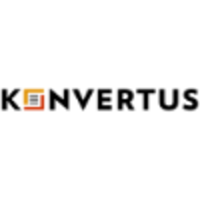 Background: Konvertus is a flourishing publishing house. They wanted to improve user and especially author experience by allowing customers to track the path of their writings from editorship to a printed version. Solution: Konvertus has been using JIRA for running processes for quite a long time, so basically, what they required was an another JIRA with a limited capabilities for users. First of all, we conducted a complete backup of their main JIRA with all the attachments, books in PDF format, icons and pictures and gathered it all in one archive. Then we created a cloud server on Amazon and configured it based on Konvertus JIRA settings. Our next step was to install a database system PostgreSQL and connect it with the future user-oriented JIRA. Finally, we uploaded the backed up files and distributed it into the right folders. Benefits: In less than 6 hours Konvertus got a user-friendly copy of their JIRA with sophisticated configurations. This original solution significantly improved the level of customer satisfaction and became an important part of a corporate brand of the publishing house. Konvertus also managed to lower the pressure on their support service. Customer review: “ We wanted an original solution, and Polontech were the ones who delivered. We’re deeply grateful to the expert team for their expertise and support”.